I am kin to Katherine Hepburn via Alexander Montgomerie. This 1932 play was another early gender-bending role for Hepburn, who played Amazon champion Antiope in a world where women were the fighters and men stayed home and took care of the children. Partner of Spencer Tracy and Howard Robart Hughes, Jr. 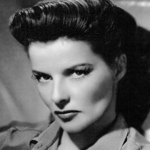 Mother of Ernest Carlton Kanzler, Jr.
Four time Academy Award winning actress Katharine Hepburn maintained a successful acting career for over 70 years. Her notable performances in The African Queen and On Golden Pond, as well as countless other films, contributed to her title as the AFI’s Greatest American Female Star. Hepburn holds the record for the most Best Actress Oscar wins with four out of 12 nominations. She was born on May 12, 1907 in Hartford, Connecticut, the daughter of suffragist Katharine Martha Houghton (a member of the Houghton family of Corning Glass and a co-founder of Planned Parenthood), and Dr. Thomas Norval Hepburn who was a successful urologist from Virginia with Maryland roots. Her siblings were Thomas Hepburn, Richard Hepburn, Robert Hepburn, Marion Hepburn Grant and Margaret Hepburn Perry. Broadstone Farm, previously known as Hillhead. The ruins of Braidstone or Broadstone Castle (NS 362 531) remained until about 1850. but when Broadstonehall Farm buildings were being rebuilt, the castle was pulled down and its stones used in the building works; the Broadstone Crags, the site of the castle, remain however despite local quarrying. An avenue of trees and the vestiges of a garden had survived until the time of the building of the farm. Its site was pointed out by Mr W Kerr of Broadstonehall in 1855. Most baronies had a water mill which was under the control of the laird or lord and to which the tenants were thirled or obliged to go to have their grain ground into flour. A proportion of the grain was taken as payment. Thirlage ended in the late 18th century and resulted in a number of mills being abandoned once market forces took a hold. The name ‘Crooked Dam’ relates to a small dwelling that once existed near the Powgree Burn and the remains of a mill pond site shows that this building was originally the miller’s dwelling and the old barony mill once lay below the site of the crooked dam. The Lordship of Giffen, included the Baronies of Giffen, Trearne, Hessilhead, Broadstone, Roughwood and Ramshead. The old lane leading to the castle’s site. The Barony of Braidstone (sic) was possessed by John de Lyddale (Liddel), Dominus de Bradestane in 1452. Robert Montgomerie of Braidstone was second son of the 3rd Lord Montgomerie. Sir Hugh Montgomerie (1560–1636) was born here in 1560, son of Adam, 5th Laird of Braidstane. He married the daughter of John Montgomery of Hessilhead, and before 1568 he purchased lands from Hugh, third Earl of Eglinton. He left a daughter, Janet, who married Troilus, the second son of Adam Montgomery of Giffen. Andrew Nevin, inherited the Monkredding estate in 1581 and married Janet, daughter of Adam Montgomery, IV laird of Broadstone Castle. Matthew Montgomerie was a resident at Broadstone, but was recorded as living at Bogstone in 1622. Hugh, first Viscount of the Great-Ardes, granted a mortgage on the lands of Broadstone to his brother-in-law, Sir John Shaw of Greenock in 1650. In 1603 Hugh Montgomery had accompanied King James I and VI on the journey to London to take possession of the English throne and his surviving brother George was the Dean of Norwich, becoming one of the court chaplains to King James; (George later became Bishop of Derry). These close contacts enabled him to eventually obtain a one third portion of the lands of Con O’Neill, Lord of the Claneboys, in Ulster. He entertained Con O’Neill at Broadstone and helped him to obtain a pardon for an accusation of ‘waging war’ against Queen Elizabeth I. Mr James Hamilton, son of the minister of Dunlop, later James Hamilton, 1st Viscount Claneboye, also obtained a one third portion of these O’Neill lands. Hugh Montgomery brought a colony of Irish Protestants over from his Irish estates in 1600 and later a colony of Protestants from the area were taken over to the Ardes and Clandebora areas of Ireland following the putting down of an Irish revolt. Hugh was knighted in by King James in 1605, giving him precedency over his rival James Hamilton, and he was created Viscount Montgomery of the Great Ardes on May 3, 1622; he died on May 25, 1636, aged 76. The Earl of Mount Alexander was his grandson, his title deriving from his descent from the family of Alexander, Earls of Stirling. Hugh Montgomery, 1st Viscount Montgomery (1560–1636), is known as one of the “founding fathers” of the Ulster-Scots along with James Hamilton, 1st Viscount Claneboye. Paterson, the historian, records that the ‘Laird of Braidstane’s Scotch Colony’, established in around 1606, was responsible for the introduction of linen weaving and manufacture to the area around Lurgan in Ireland; he also built mills, the harbour of Donaghadee, and repaired Port Montgomery (now Port Patrick). Some of the family of Hugh Hammil of the nearby lands of Roughwood accompanied Hugh Montgomerie to Ireland and became established there as merchants in the Dublin area. Note: “Sir John Montgomerie Irvine of Drum” by McCormick says that Alexander Montgomerie, 1st Lord Montgomerie, is son of Agnes of the Isles. Isenburg agrees. Other authorities disagree. Alexander Montgomerie, 1st Lord Montgomerie (died 1470?) was a Scottish nobleman and diplomat. He was the eldest son of Sir John Montgomerie of Ardrossan, by his wife Agnes, daughter of John of Islay, Lord of the Isles. In 1425 he was chosen a member of the privy council of James I. He succeeded his father some time before 22 November 1429, and in August 1430 he was, jointly with his brother-in-law, Sir Robert Cunningham of Kilmaurs, appointed governor of Cantyre and Knapdale. On 30 November 1436 Montgomerie was appointed a commissioner to conclude a treaty with England, and he was one of the conservators of the truce concluded on 31 March for nine years. With the other Scottish commissioners he received the present of a silver cup from Henry VI of England. On 5 February 1444 he had a safe-conduct to go to Durham to treat for the extension of the truce and the return of the Scottish hostages. In 1444 Montgomerie was appointed keeper of Brodick Castle on the Isle of Arran. He was one of those who set their seals to instruments passed by the parliament held at Perth, Scotland on 9 June 1445 against the lords who had rebelled against James II. He was created a lord of parliament by the title of Lord Montgomerie some time before 3 July 1445; and on 14 August 1451 he was a conservator for a truce with England, and in subsequent years he was sent to England on further embassies. He died about 1470. Agnes, to William Cunningham of Glengarnock. MONTGOMERIE, Sir ALEXANDER de, of Ardrossan, first Lord Montgomerie (d. 1470? ), was the eldest son of Sir John Montgomerie of Eaglesham, Eglinton, and Ardrossan, by his wife Agnes, daughter of Alexander, earl of Ross, lord of the Isles. His grandfather, Sir John Montgomerie (d. 1398? ), is separately noticed. The father was a hostage for the Earl of Douglas in 1408, a hostage for James I in 1423, and one of the jury on the trial of Murdac, duke of Albany, in 1425. In 1425 the son was chosen a member of the privy council of James I. He succeeded his father some time before 22 Nov. 1429, and in August 1430 he was, jointly with his brother-in-law, Sir Robert Cunningham of Kilmaurs, appointed governor of Cantyre and Knapdale. On 30 Nov. 1436 he was appointed a commissioner to conclude a treaty with England (Cal. Documents relating to Scotland, iv. 1103), and he was one of the conservators of the truce concluded on 31 March for nine years (ib. p. 1111). With the other Scottish commissioners he received the present of a silver cup from Henry VI (ib. p. 1109). On 5 Feb. 1444 he had a safe-conduct to go to Durham to treat for the extension of the truce and the return of the Scottish hostages (ib. p. 1162). In 1444 Montgomerie was appointed keeper of Brodick Castle in the Isle of Arran (Exchequer Rolls of Scotland, v. 163). He was one of those who set their seals to instruments passed by the parliament held at Perth on 9 June 1445 against those lords who had rebelled against James II. He was created a lord of parliament by the title of Lord Montgomerie some time before 3 July 1445 (Acta Parl. Scot. ii. 59; Hist. MSS. Comm. 11th Rep. pt. vi. p. 16). On 31 Jan. 1448-9 he had a grant of the office of bailiary of Cunningham. On 14 Aug. 1451 he was a conservator for a truce with England (Cal. Documents relating to Scotland, iv. 1239), and in subsequent years he was sent to England on various other important embassies. He died about 1470. By his wife Margaret, second daughter of Sir Thomas Boyd of Kilmarnock, father of the first Lord Boyd, he had three, or possibly four sons and three daughters: Alexander, master of Montgomerie, who died in 1452, leaving by his wife Elizabeth, eldest daughter of Sir Adam Hepburn of Hales a son, Alexander, second lord Montgomerie, father of Hugh, first earl of Eglinton [q. v.]; George, ancestor of the Montgomeries of Skelmorlie; Thomas, parson of Eaglesham, and rector of the university of Glasgow; John of Giffen (doubtful); Margaret, married to Sir John Stewart of Darnley, who was created Lord Darnley, and for a time was titular Earl of Lennox; Elizabeth, to John, lord Kennedy, seventh earl of Cassillis; and Agnes, to William Cunningham of Glengarnock. Alexander Montgomerie, 1st Lord Montgomerie, Lord Androssan married Margaret Boyd, daughter of Sir Thomas Boyd, 5th Baron Kilmarnock. Alexander Montgomerie, 1st Lord Montgomerie, Lord Androssan was born circa 1390. He died in 1470; Living on 7 October 1469. [S694] Unknown author, Lineage and Ancestry of HRH Prince Charles by Paget, Vol. II, p. 320; Europaische Stammtafeln by Isenburg, chart 640, Vol. 3. [S16] Douglas Richardson, Magna Carta Ancestry, 2nd Edition, Vol. III, p. 586. [S4] Douglas Richardson, Royal Ancestry, Vol. I, p. 664. [S6] G.E. Cokayne; with Vicary Gibbs, H.A. Doubleday, Geoffrey H. White, Duncan Warrand and Lord Howard de Walden, editors, The Complete Peerage of England, Scotland, Ireland, Great Britain and the United Kingdom, Extant, Extinct or Dormant, new ed., 13 volumes in 14 (1910-1959; reprint in 6 volumes, Gloucester, U.K.: Alan Sutton Publishing, 2000), volume IX, page 134. Hereinafter cited as The Complete Peerage. [S6] Cokayne, and others, The Complete Peerage, volume IX, page 135. [S6] Cokayne, and others, The Complete Peerage, volume I, page 198. [S6] Cokayne, and others, The Complete Peerage, volume III, page 74. I. SIR HUGH, who died at the battle of Otterburne, in August 1388, from the good aim of an English archer, in revenging the death of Earl Douglas. . . .
II. SIR JOHN, who succeeded his father. III. ALEXANDER, to whom his mother gave a charter of the lands of Bonnington, in the barony of Ratho. …. etc. IV. HUGH, who was — it is presumed– born after the death of the eldest son. He was tutor to Hugh, the third Lord Montgomerie, and lived to a very advanced age, having survived four generations of the chief of his family. XVI. SIR JOHN de MONTGOMERIE, “Dominus Ejusdem, or of the Ilk,” which title shows he was the male heir and chief of the French house of Montgomerie. “This ancient and noble title– That Ilk — is peculiar to the Scots, and has never been hitherto defined well. It is the title which denotes — not the gentleman, as Johnson’s degrading appellation, (viz., whose surname and the title of his estate are the same,) but also the chief of all the clan of his own surname. It does not necessarily or essentially refer to the estate. McFarlan, McIntosh, Brisbane, Tweedie, &c., of that Ilk, have never had lands of the name of their surnames. …. etc. Sir John de Montgomerie ” succeeded his father before 1398. In 1402 he formed on the chiefs of the Scotch army which invaded England, and was taken prisoner at the disastrous battle of Halidon Hill.” He was not long a captive, however, for two years after he was in …. etc. Sir John married Margaret, daughter of Sir Robert Maxwell of Caerlaverock, (ancestor of the Earls of Nithsdale,) and dying previous to November, 1429, left by her three sons and three daughters. I. ALEXANDER, who succeeded him. Sir Robert was the ancestor of the late Sir George Montgomery, Baronet, of Macbie Hill, and of Sir Graham G. Montgomery, Baronet, of Stanhope, for whose descents see pp. 145, 148. III. HUGH MONTGOMERIE, is mentioned in a charter of his brother, Lord Montgomerie, Polnoon, July 29, 1452. IV. ANNE, married June 16, 1425, to Sir Robert Cuninghame of Kilmaurs, father of the first Earl of Glencairn. . . . .
V. JANET, married Sir Thomas Boyd of Kilmarnock, (his second wife,) …. etc. VI. ISABEL, married Archibald Mure of Rowallan. XVII. ALEXANDER de MONTGOMERIE, the first Lord Montgomerie, succeeded his father before November 22, 1429, as on that date “Alexander de Montgomery, lord of that Ilk, is one of the assize in an action …. etc. Lord Montgomerie married Margaret, daughter of Sir Thomas Boyd of Kilmarnock, by whom he had four sons and four daughters. He died prior to October 14, 1465, and was succeeded by his grandson. III. JOHN DE MONTGOMERIE of Giffen, in which barony he appears to have had lands . . .
IV. THOMAS DE MONTGOMERIE, Parson of Eaglesham. . . . . Thomas died unmarried. V. MARGARET, married John Earl of Lennox, Lord Darnley. There is an indenture, dated at Houstoun, May 15, 1438, between Alexander Montgomerie, Knight, Lord of Ardrossan, on the one part, and Alan Stewart, Lord Dernely, …. etc. VI. ELIZABETH, married John, second Lord Kennedy, and was mother of David, first Earl of Cassilis. Lord Kennedy’s sister, Catherine, was the wife of the second Lord Montgomerie. VII. JANET, married a Cuninghame of the Kilmaurs family. VIII. AGNES, married William Cuninghame of Glengarnock. [S29] #798 The Wallop Family and Their Ancestry, Watney, Vernon James, (4 volumes. Oxford: John Johnson, 1928), FHL book Q 929.242 W159w; FHL microfilm 1696491 items 6-9., vol. 1 p. 125. [S4] #11232 The Genealogist (1980-), Association for the Promotion of Scholarship in Genealogy, (New York: Organization for the Promotion of Scholarship in Genealogy, 1980-), FHL book 929.105 G286n., Fall 1997, vol. 11 no. 2 p. 183, Spring 1998, vol. 12 no. 1 p. 89:516. [S7] #189 The Scots Peerage: Founded on Wood’s Edition of Sir Robert Douglas’s Peerage of Scotland, Containing an Historical and Genealogical Account of the Nobility of that Kingdom, with Armorial Illustrations (1904-1914), Paul , Sir James Balfour, (9 volumes. Edinburgh: D. Douglas, 1904-1914), FHL book 941 D22p; FHL microfilms104,157-104,161., vol. 2 p. 456. [S7] #189 The Scots Peerage: Founded on Wood’s Edition of Sir Robert Douglas’s Peerage of Scotland, Containing an Historical and Genealogical Account of the Nobility of that Kingdom, with Armorial Illustrations (1904-1914), Paul , Sir James Balfour, (9 volumes. Edinburgh: D. Douglas, 1904-1914), FHL book 941 D22p; FHL microfilms104,157-104,161., vol. 3 p. 430. [S7] #189 The Scots Peerage: Founded on Wood’s Edition of Sir Robert Douglas’s Peerage of Scotland, Containing an Historical and Genealogical Account of the Nobility of that Kingdom, with Armorial Illustrations (1904-1914), Paul , Sir James Balfour, (9 volumes. Edinburgh: D. Douglas, 1904-1914), FHL book 941 D22p; FHL microfilms104,157-104,161., vol. 5 p. 142. [S25] #226 The Peerage of Scotland: Containing an Historical and Genealogical Account of the Nobility of That Kingdom, from Their Origin to the Present Generation (2nd edition, 1813), Douglas, Sir Robert, (2nd edition. 2 volumes. Edinburgh: A. Constable, 1813 NOTE: Caution should be taken with this peerage, and compared with other peerages to obtain accurate information about the families. Some of the lineages are confused, but can be used for supplemental information. ), FHL book Q 941 D22d; FHL microfilm 1,440,956 items 1-2., vol. 1 p. 328, 495. [S25] #226 The Peerage of Scotland: Containing an Historical and Genealogical Account of the Nobility of That Kingdom, from Their Origin to the Present Generation (2nd edition, 1813), Douglas, Sir Robert, (2nd edition. 2 volumes. Edinburgh: A. Constable, 1813 NOTE: Caution should be taken with this peerage, and compared with other peerages to obtain accurate information about the families. Some of the lineages are confused, but can be used for supplemental information. ), FHL book Q 941 D22d; FHL microfilm 1,440,956 items 1-2., vol. 2 p. 95. [S4] #11232 The Genealogist (1980-), Association for the Promotion of Scholarship in Genealogy, (New York: Organization for the Promotion of Scholarship in Genealogy, 1980-), FHL book 929.105 G286n., Spring 1998, vol. 12 no. 1 p. 89:516. [S50] Medieval, royalty, nobility family group sheets (filmed 1996), Church of Jesus Christ of Latter-day Saints. Family History Department. Medieval Family History Unit, (Manuscript. Salt Lake City, Utah : Filmed by the Genealogical Society of Utah, 1996), FHL film 1553977-1553985..
[S29] #798 The Wallop Family and Their Ancestry, Watney, Vernon James, (4 volumes. Oxford: John Johnson, 1928), FHL book Q 929.242 W159w; FHL microfilm 1696491 items 6-9., vol. 3 p. 559. [S7] #189 The Scots Peerage: Founded on Wood’s Edition of Sir Robert Douglas’s Peerage of Scotland, Containing an Historical and Genealogical Account of the Nobility of that Kingdom, with Armorial Illustrations (1904-1914), Paul , Sir James Balfour, (9 volumes. Edinburgh: D. Douglas, 1904-1914), FHL book 941 D22p; FHL microfilms104,157-104,161., vol. 3 p. 432. [S7] #189 The Scots Peerage: Founded on Wood’s Edition of Sir Robert Douglas’s Peerage of Scotland, Containing an Historical and Genealogical Account of the Nobility of that Kingdom, with Armorial Illustrations (1904-1914), Paul , Sir James Balfour, (9 volumes. Edinburgh: D. Douglas, 1904-1914), FHL book 941 D22p; FHL microfilms104,157-104,161., vol. 3 p. 431. [S3] #21 The Complete Peerage of England, Scotland, Ireland, Great Britain and the United Kingdom, Extant, Extinct, or Dormant (1910), Cokayne, George Edward (main author) and Vicary Gibbs (added author), (New edition. 13 volumes in 14. London: St. Catherine Press,1910-), vol. 1 p. 199; vol. 3 p. 74; vol. 14 p. 339 [GLENCAIRN] (Reliability: 3). [S4] #230 [5th edition, 1999] The Magna Charta Sureties, 1215 (5th edition, 1999), Adams, Arthur, (5th edition. Baltimore: Genealogical Publishing, 1999), FHL book 973 D2aa 1999., p. 16 line 15A:10 (Reliability: 3). [S3] #21 The Complete Peerage of England, Scotland, Ireland, Great Britain and the United Kingdom, Extant, Extinct, or Dormant (1910), Cokayne, George Edward (main author) and Vicary Gibbs (added author), (New edition. 13 volumes in 14. London: St. Catherine Press,1910-), vol. 5 p. 17 (Reliability: 3). tioned. Hugh, the third son, is mentioned in a charter to his brother Alexander, Lord Montgomerie, in 1452. Of the daughters, Anne married, June 16, 1425, Sir Robert Cuninghame, father of the Earl of Glencairn; Janet became the second wife of Sir Thomas Boyd, of Kilmarnock, whose daughter Margaret, by a former marriage, became the wife of Lord Montgomerie; and Isabel married Archibald Muir, of Rowallan. ALEXANDER DE MONTGOMERIE, first Lord Montgomerie, though his ancestors had been designated by that title for several generations, succeeded his father prior to November 22, 1429, as on that date he is referred to as “Lord of that Ilk” in one of the assizes, in an action between Renfrew and Dumbarton. He had a commission with his brother-in-law Sir Robert Cuninghame, August 10, 1430, for the government of Kintyre, Knapsale, and other baronies, and also a charter under the great seal for a large number of baronies, with the lands appurtenant, between the years 1430 and 1450. He was distinguished for his loyalty to James I, of Scotland, and his successor, and was a member of the Priby Council under both. He was also employed on various negotiations and diplomatic missions to England. The date of his elevation to the peerage is given by Burke as January 31, 1448-9, but as he is referred to in the erecting of the Lordship of Hamilton, on July 3, 1445, in connection with others then elevated to the peerage, it is thought that that was the date of his elevation. He married Margaret, daughter of Thomas Boyd, of Kilmarnock, who married as his second wife, Janet, sister of Lord Montgomerie. Lord Montgomerie died October 14, 1465, leaving four sons and four daughters. His second son, George de Montgomerie, was laird of Skelmorlie Castle, now one of the seats of the Earls of Eglinton and Winton. The third son, John de Montgomerie, of Giffen, had a son Robert de Montgomerie, who went to France and founded the second branch of the Counts of Montgomerie; and the forth son, Thomas de Montgomery, was rector of the University of Glasgow, 1476-1510, and died unmarried. Of the daughters, Margaret married John, Earl of Lennox, Lord Darnley, and was an ancestress of James VI, of Scotland and James I, of England. Elizabeth married John, second Lord Kennedy; Janet married ____ Cuninghame, of Kilmaurs, and Agnes married William Cuninghame, of Glengarncok. ALEXANDER DE MONTGOMERIE, Master of Montgomerie, eldest son of Lord Alexander, and his spouse Margaret Boyd, died in 1452, before his father. . . . .